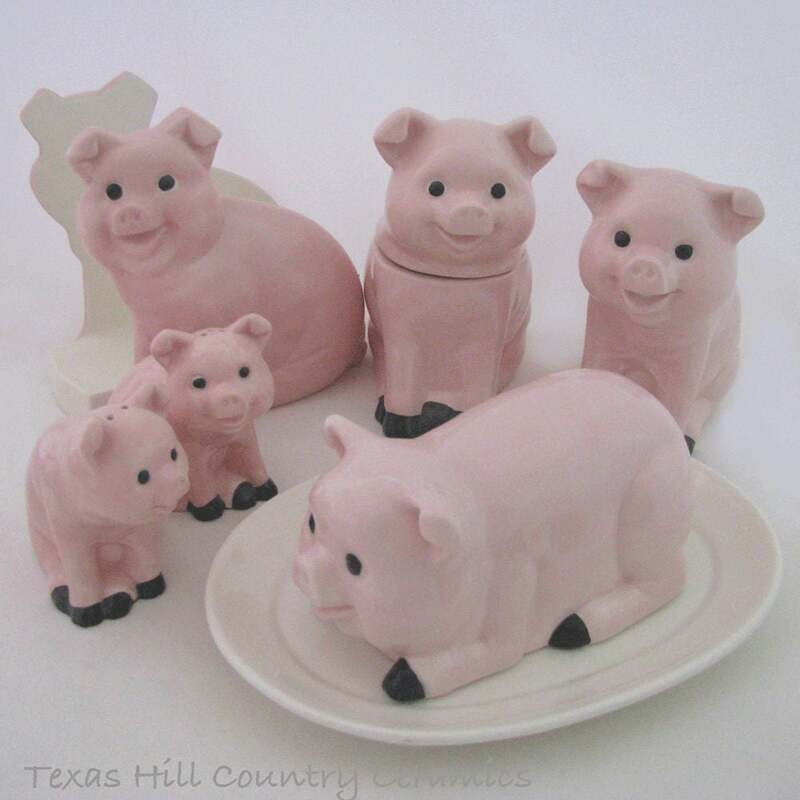 This ceramic pig napkin holder highly detailed. 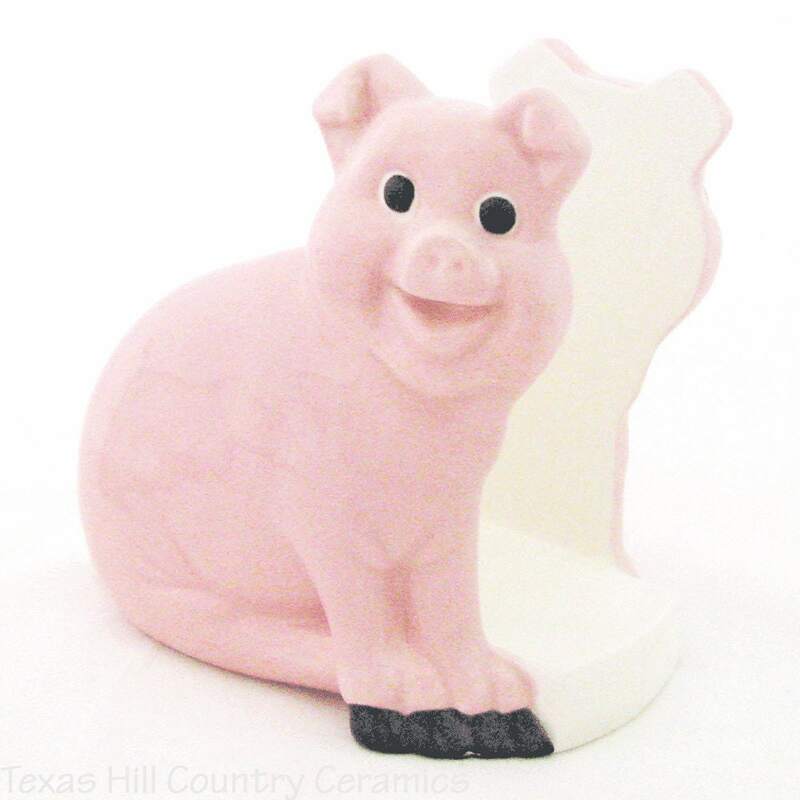 The napkin holder has a dimentional pig on both sides of the holder. The holder coordinates perfectly with several items available in my shop. 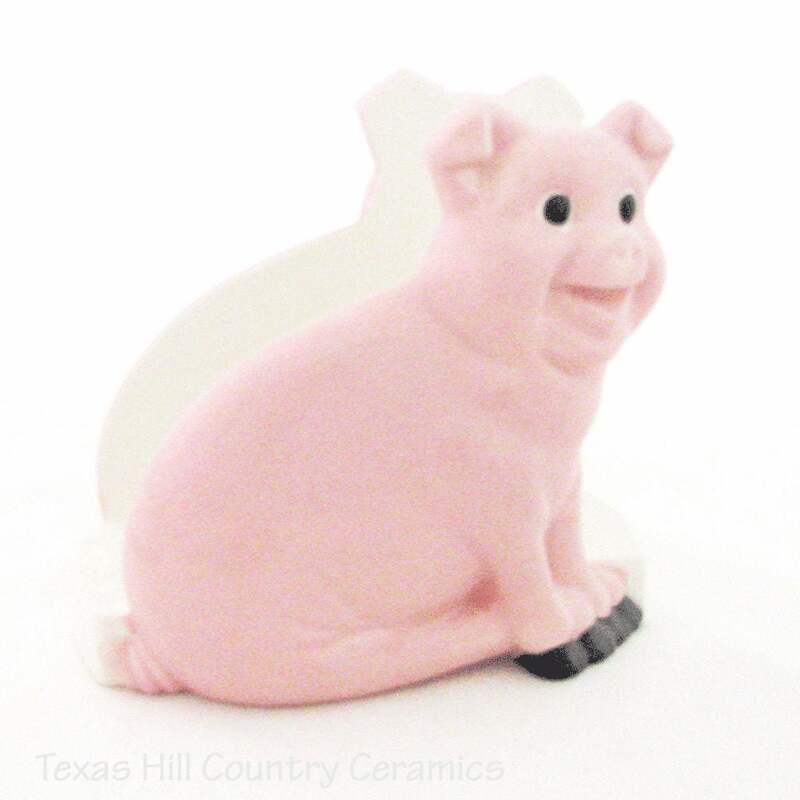 This pink pig napkin holder is ideal for country kitchens and tableware settings, it is also great for holding hot pads next to the kitchen stove. • the napkin slot is approximately 1 1/8 inches wide. Ceramic napkin holders can be used as a cheerful decorative accent for a holiday dinner table, tea party setting or anywhere in the home or office. They are not limited to just holding napkins, they can help keep track of your favorite recipe cards or letters and notes, booklets and more, you imagination is the limit. Each napkin holder is made of slip cast ceramics using a vintage ceramic mold for uniformity. All ceramics created in my shop are kiln fired, this piece is fired twice, once to the bisque state then the final glaze firing. All detail is hand painted with non-toxic underglaze and finished with brushed on glaze that does not contain lead. The bottom of each napkin holder is finished as well. These holders are ideal as a decorative accent to table place setting decor, desks, dressers or tables. Perfect for a wedding reception party or anniversary celebration or your next dinner party or get together. Available in decorative & functional themes and seasonal designs for any occasion you celebrate. Coordinating items available including salt and pepper shakers, cream & sugar bowl set, condiment or tea bag holders and more.